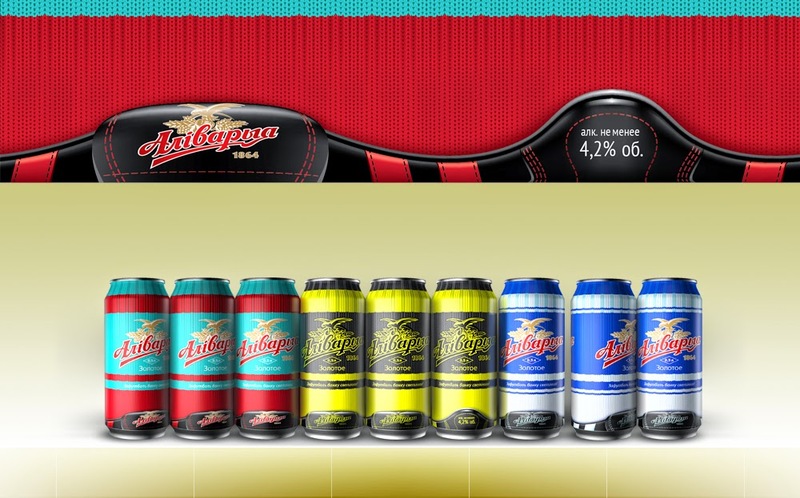 Alivaria Brewery is a beer company based in Belarus. 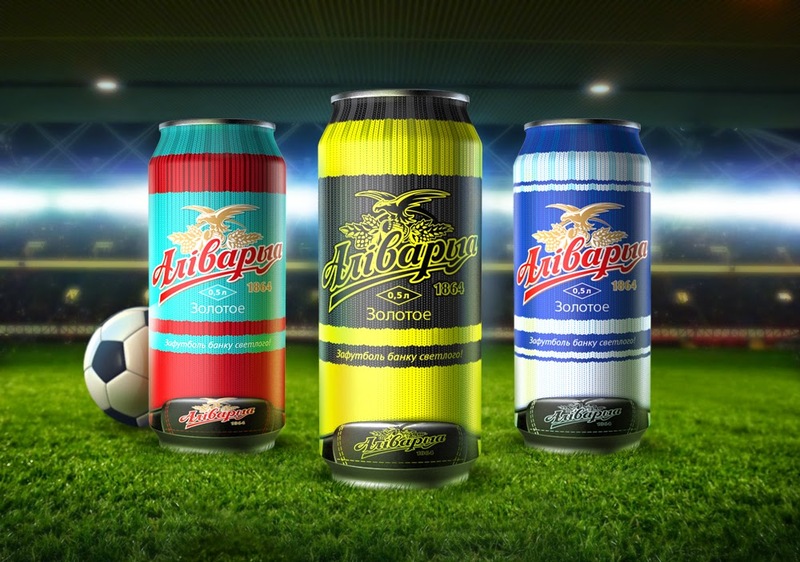 Lesha Limonov, a designer from Belarussian capital Minsk came with with this clever packaging idea to incorporate football into the beer's marketing campaign. 1. A fine game depends on the skills of a football player, the ability to have the ball in controll, the well-control of a body and legs, the ability to kick the ball accurately and to score a goal. 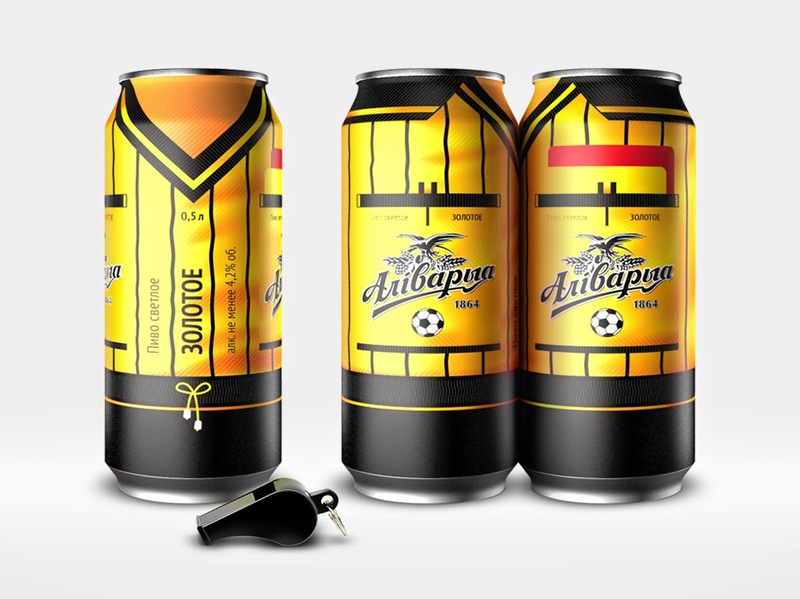 Hence the idea: to represent a can of beer as a football player's leg. The result is a can of beer dressed in leggings and boots. 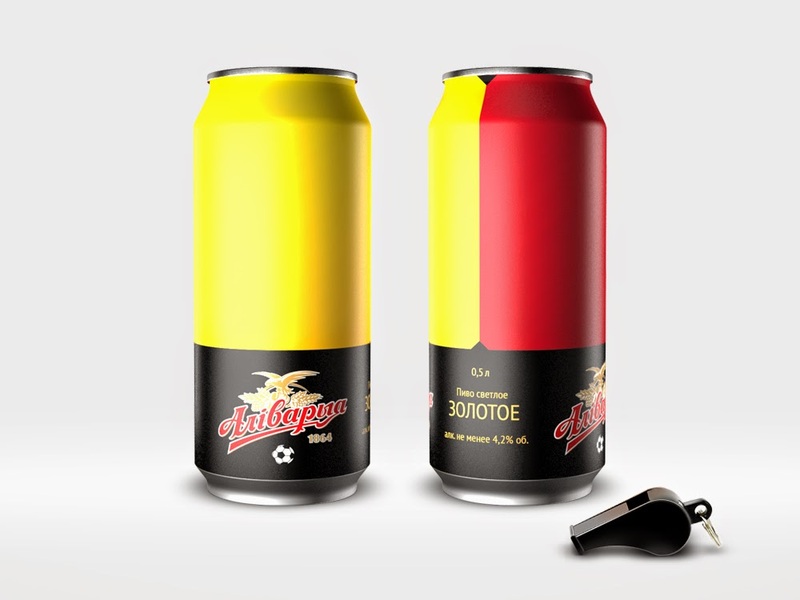 The Slogan is "to football a can". 2. 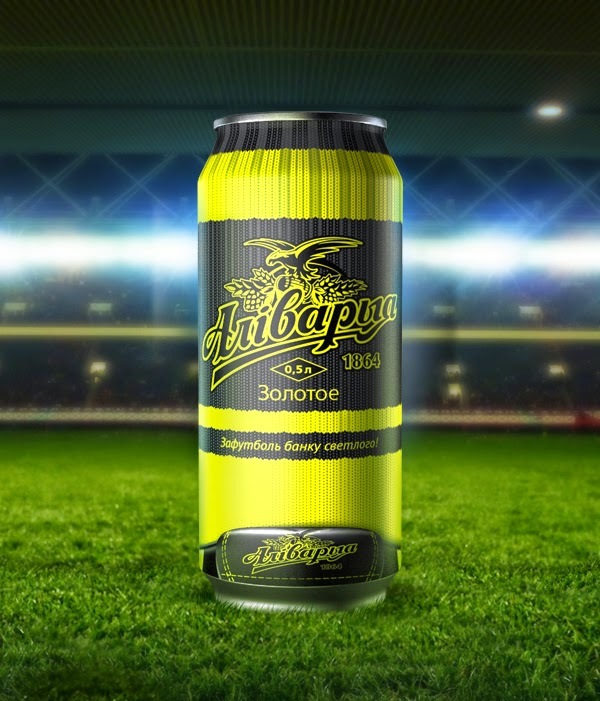 Everyone who watches football drinking a can of beer is a potential judge, because he is sitting in a chair at home or with friends in a bar, evaluating and criticizing a team, commenting on the game. 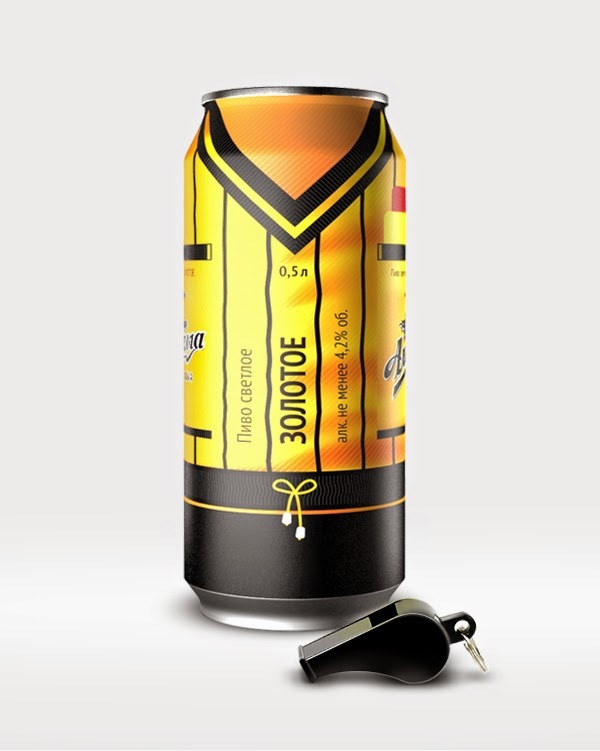 The Idea: a can of beer made in the form of a football referee. 3. 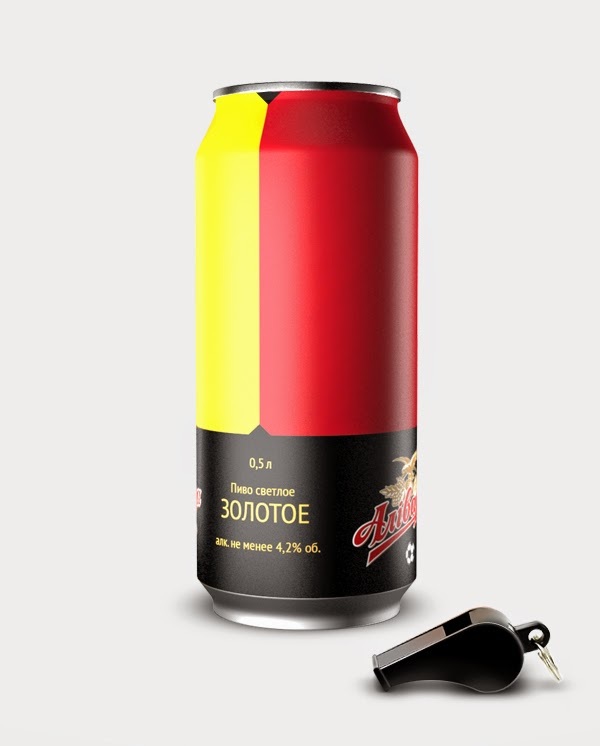 A can is presented in the form of two cards:a yellow and a red one. Automatically you become a referee of the match. You can give a red or a yellow card to the players.